Berkeley Suites: The Crescent are luxury serviced apartments in Bristol City Centre, offering a home-from-home experience – the amenities of a hotel combined with the freedom that an apartment offers and are perfectly positioned to enjoy everything that the thriving UK city of Bristol has to offer. A UK city break is a popular way to spend a long weekend and a great way to spend time with friends or, of course, with a significant other. Bristol is a vibrant city with a growing cultural reputation and a thriving restaurant and nightlife scene. 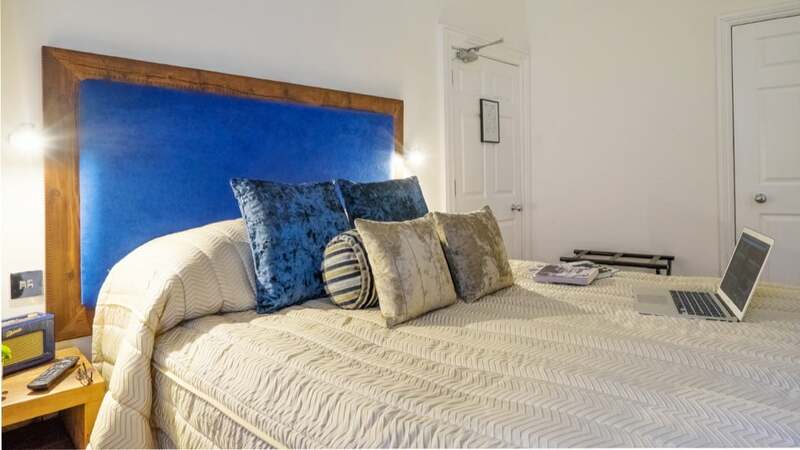 For a relaxing, comfortable and luxurious place to stay, check out the Berkeley Suites; their location is unbeatable, being just moments away from the Clifton Triangle on a stunning Georgian Crescent just off busy Park Street. The setting is peaceful so it’s a great place to unwind, but you are just minutes away from the heart of the city. 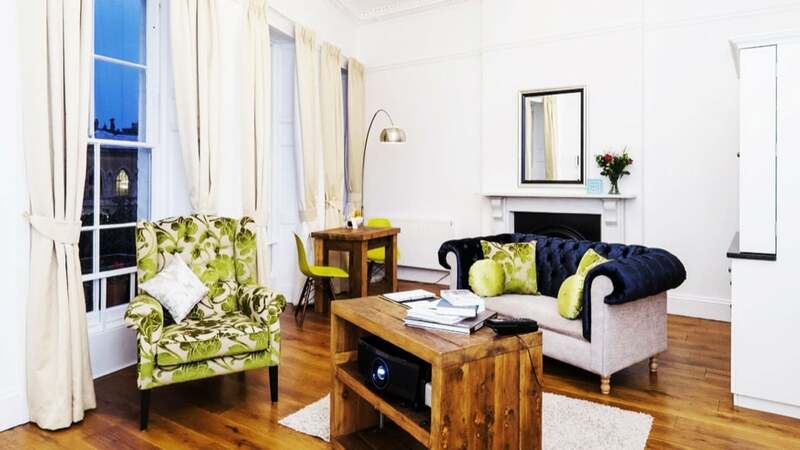 The apartments can be reached in just under 2 and a half hours by car driving from London or you can catch the train which takes around 2 hours. This is a real home-away-from-home experience; you have the luxury and amenities that you would expect from a top hotel, but this is combined with the flexibility, freedom and your own space that staying in an apartment gives you. 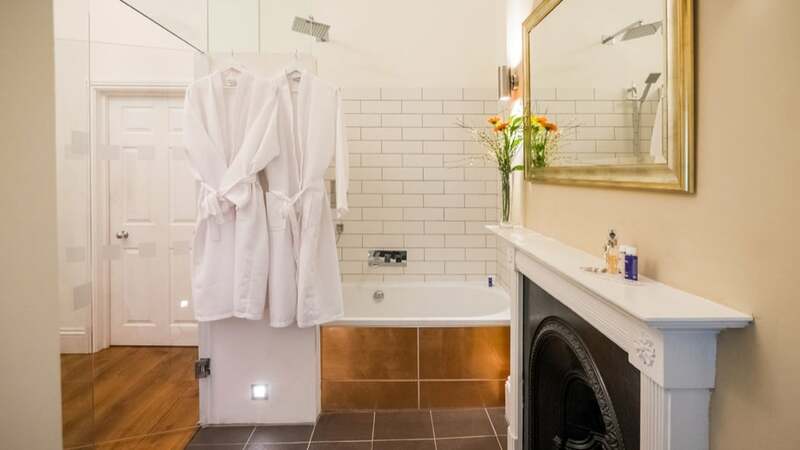 Here, you do actually get the benefits from a hotel as the Berkeley Square hotel is a sister property and you can make use of their room servicing and 24-hour reception. The building itself is a grade II listed Georgian building, designed in the 18th century and there is certainly a feeling of grandeur that translates inside as well. Each of the five suites are individually decorated, chic and contemporary and feature lavish furnishings and a luxury finish. The views are stunning, looking right across the city. 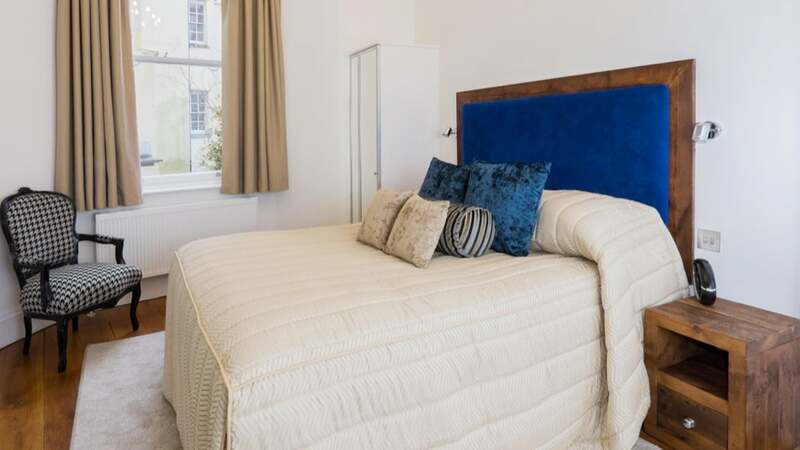 There is a choice of Junior or Deluxe Suite but both offer an open plan living space with a kitchenette and dining space as well as a separate en-suite bedroom. The bedroom includes a luxury Vi-Spring bed, Egyptian cotton sheets, fluffy bathrobe and slippers, and your en-suite has a monsoon shower and luxury Elemis toiletries. 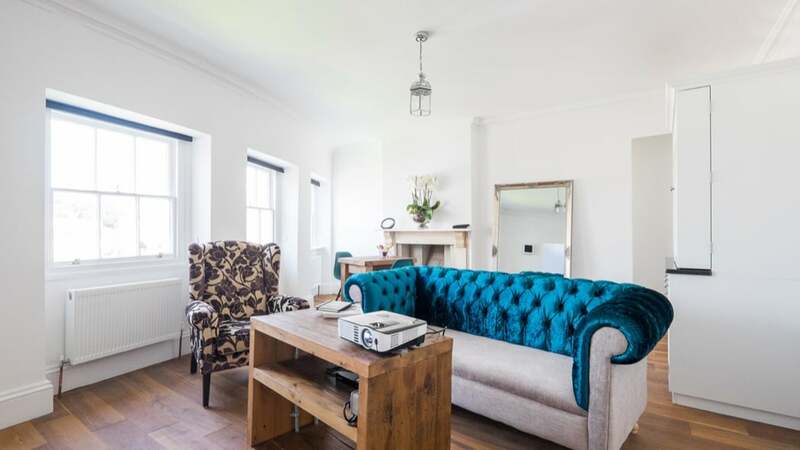 The tech-features are fabulous too: 42” television, Roberts radio, state of the art cinema projector and wall mounted speakers and my favourite – a video painting installation in each room. 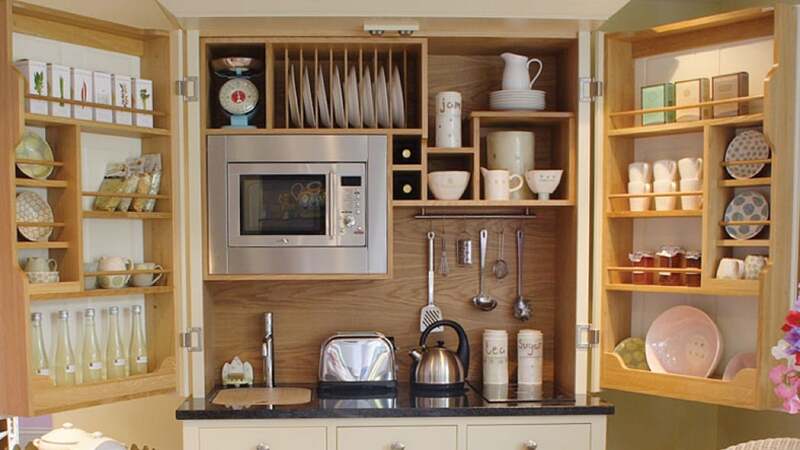 There are all the facilities that you need to self-cater in the well stock kitchenette, including a convection hob, microwave oven, fridge, dishwasher and Delonghi espresso coffee machine. Your hosts provide a range of fresh food hampers that have been selected by the head chef and include a delicious range of homemade and locally sourced essentials and goodies. As a guest, you receive complimentary access to the exclusive Square Members Club which includes entrance to the innovative, contemporary and award-winning restaurant: The Square Kitchen, the cocktail bar on the lower deck is the place to go after dark. There’s much to explore in the city: The Harbourside, the former port, is now a cultural hub; don’t miss the M Shed Museum here which highlights local heritage. If children are part of your group (or you’re just young at heart of course! ), the At-Bristol Science Centre and Bristol Zoo Gardens are not to be missed. The shopping is sensational and comes to a close second to London, and the city is well known for its music and entertainment scene. After all this, you’ll be pleased to know that being a guest at the Berkeley Suites also gives you a complimentary pass which provides full access to the Nuffield Centre with swimming pool, steam rooms and sauna which is located less than 300 metres away; the perfect place to recuperate after a busy day. Become a regular and sign up to a generous Loyalty Card scheme; perfect if you have regular business in the area or just enjoy a lot of city breaks! For a home-from-home treat with friends or a loved one, check in to the Berkeley Suites in Bristol the next time you get a long weekend off.